There’s been much talk from President Trump about lowering corporate tax rates. But where does that leave the smaller companies that employ nearly half of non-public sector American workers? Trump and Republican lawmakers are in the midst of hammering out new legislation that would cut the U.S. corporate tax rate, now at 35% even though few corporations pay that rate thanks to loopholes and deductions. 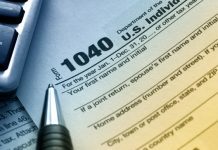 From 2006 to 2012, at least two-thirds of all corporations had no federal income tax liability, while 42% of large corporations — those with at least $10 million in assets — paid no federal income tax in 2012, the U.S. Government Accountability Office said last year. Meanwhile, non-farm small business sole proprietorships pay an average effective tax rate of 15.1%, according to Quantria Strategies, a policy research firm. But even with many companies already paying far less than the high end of corporate rates, tax reform proponents say cutting taxes and simplifying the corporate tax code would boost American competitiveness. That opportunity may not filter down so easily to many smaller enterprises. The priorities of the General Electrics and Boeings get the big headlines, but most small businesses, including sole proprietorship and other limited-liability entities like partnerships and so-called “S corporations,” don’t pay corporate income tax. Instead, they’re structured as “pass-through,” entities where business profits are taxed at individual income rates, which top out at 39.6%. Small and midsized businesses (SMBs) make up 99% of U.S. employer firms and nearly half of all private sector employment, according to the Small Business Administration. Trump has yet to announce a specific tax reform plan. 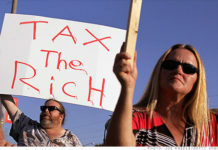 But he proposed reducing the corporate income tax rate, not including pass-through businesses, “to anywhere from 15% to 20%.” During his presidential campaign, Trump also said pass-through businesses — the Trump Organization, his family business, is one — would have a top tax rate of 15%. *The Blueprint. A tax bill introduced by House Speaker Paul Ryan (R–Wisc.) and House Ways and Means Committee Chairman Kevin Brady (R–Texas) would lower the corporate tax rate to 20% from 35% and reduce the rate on pass-through businesses to 25%. It would also allow businesses to fully write off capital investments rather than recording depreciation over a period. 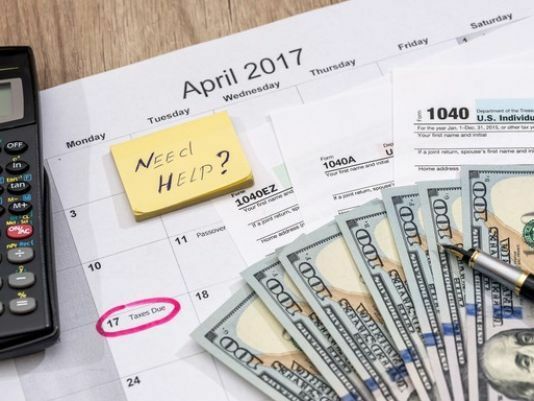 It also calls for eliminating itemized deductions, except for mortgages and charitable giving, which could lead to higher tax bills for some business owners. *The Bring Small Businesses Back Tax Reform Act. Introduced by Reps. Rand Hultgren (R-Ill.) and Jason Smith (R-Mo.) earlier this month, the bill envisions a bigger cut for pass-through businesses than Ryan’s plan. It would lower the tax rate on the first $150,000 of small business income to 12%, and to 25% for all income above the threshold. It also allows immediate write-off of investment in equipment. 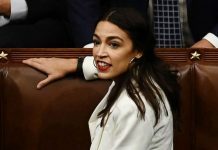 But business owners are also closely monitoring how their deductions and other types of preferences would be affected by lawmakers’ negotiations. Policymakers and lobbyists are generally operating under the assumption that tax reform would not boost the deficit. But lowering the corporate tax rate without increasing the deficit may not work unless lawmakers also cut back on some of the deductions and credits that business owners enjoy, economists say. Tax credits for research and development and lower tax rates for income from intellectual property developed in the U.S. — are worth fighting for and should be retained as they help spur investment, Kennedy of ITIF says. But mom-and-pop shop owners with routine business expenses could potentially be looking at higher tax bills if personal deductions were to be scrapped.